What does Congress do? How does it do it? Why is it such a complicated institution? 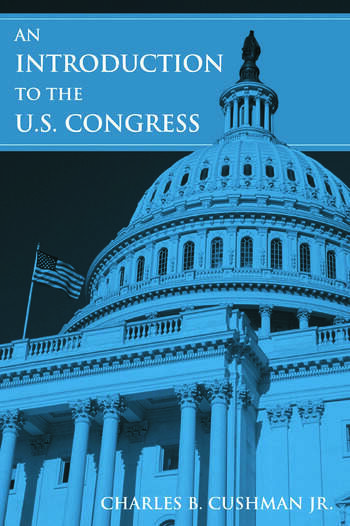 This concise primer offers students and general readers a brief and systematic introduction to Congress and the role it plays in the US political system. Drawing on his experience as a former Congressional staff member, the author explores the different political natures of the House and Senate, examines Congress's interaction with other branches of the Federal government, and looks ahead to the domestic and foreign challenges that are likely to drive the Congressional agenda for decades to come. The book provides revealing insights into the sometimes-contradictory Congressional responsibilities of representation and lawmaking; oversight and appropriation; and managing and organizing the government. It includes a case study (on the formation of the Department of Homeland Security) that sheds light on Congress's often-complicated procedures. The book also includes boxed features on Congressional action - highlighting such topics as file sharing and student loans - that show students how Congress's work affects their lives. Chapter-ending lists of web resources add to the book's usefulness. Over the last decade China has engaged in one of the most comprehensive management reforms ever undertaken. These reforms are expected to determine China's ability to modernize and become a major world economic power. At the same time, the reforms touch on major political and social issues within the PRC, thereby affecting the structure and control of Chinese society. The contributors to this volume analyze Chinese management and organizations in seven chapters that assess the impact of the reforms on domestic Chinese enterprises across such diverse issues as decision-making, work values and managerial behaviour, three chapters on foreign joint ventures and three chapters on trade and trade organizations.